One of our bestsellers! now in all black shade. Yogapants in soft and superstretchy material - feeling like a second skin when wearing them. 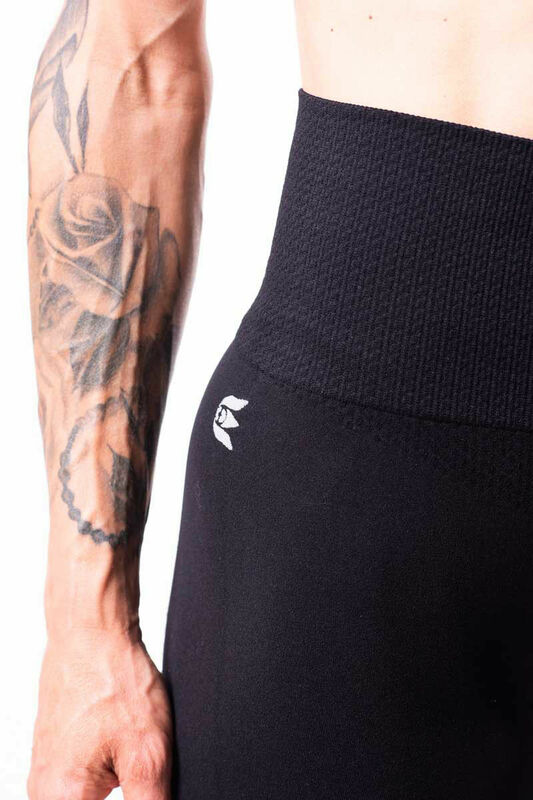 These yogapants have a high waist that canbe folded down if you wish to wear them low. The legs are long and can even be pulled down over the heel for a snuggly fit, there is a hole to fit the heel when wearing them down. There is a wrinkled part on both sides of the wrist. The pants are made in "seamless" tecnique for extra high comfort when moving. 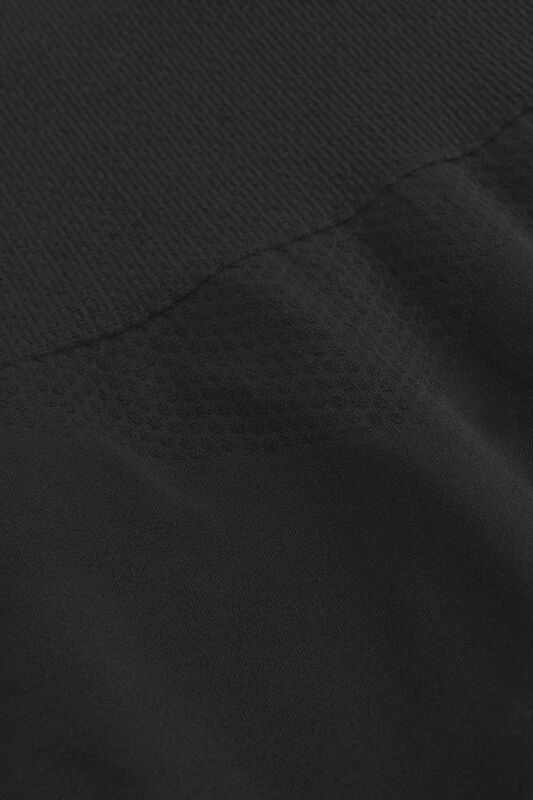 There is only 1 seam along he inside of the leg, the rest of the pant is made like a tube.